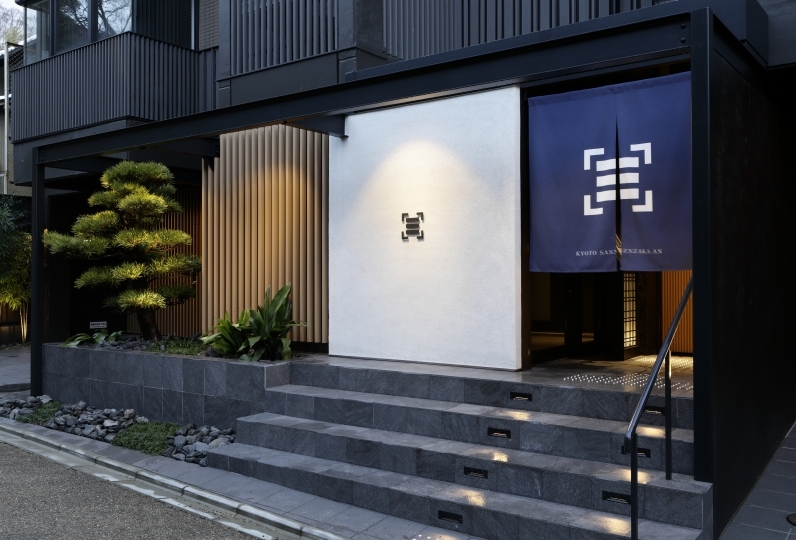 Innovations: Asking about traditions, knowing the history, thinking about the future of Kyoto. Mr. Kusububi is a ceramic artist known as the highest peak in the Japanese ceramics world. 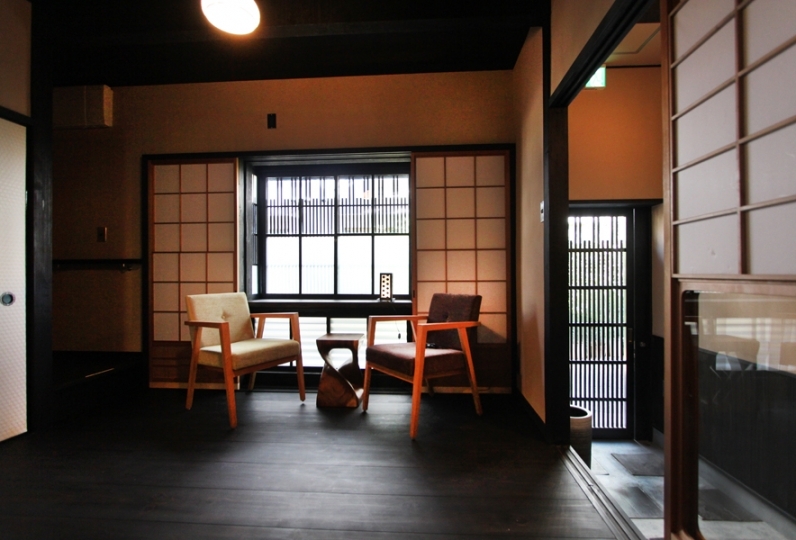 Awata Geppaku An was the house where people associated with Mr. Kusubabe's sister lived. 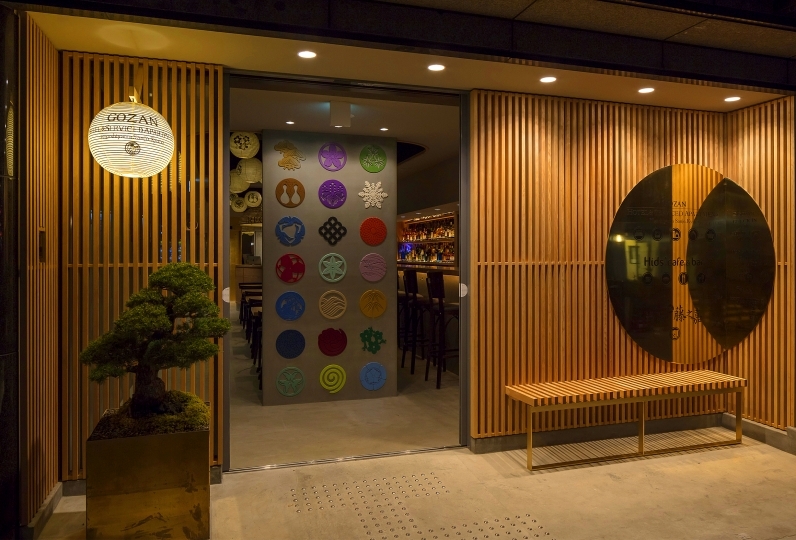 Street shops signifying "a pale moon that shines white" to the wood carvings at the entrance door, you can find a designs imitating the moon everywhere. 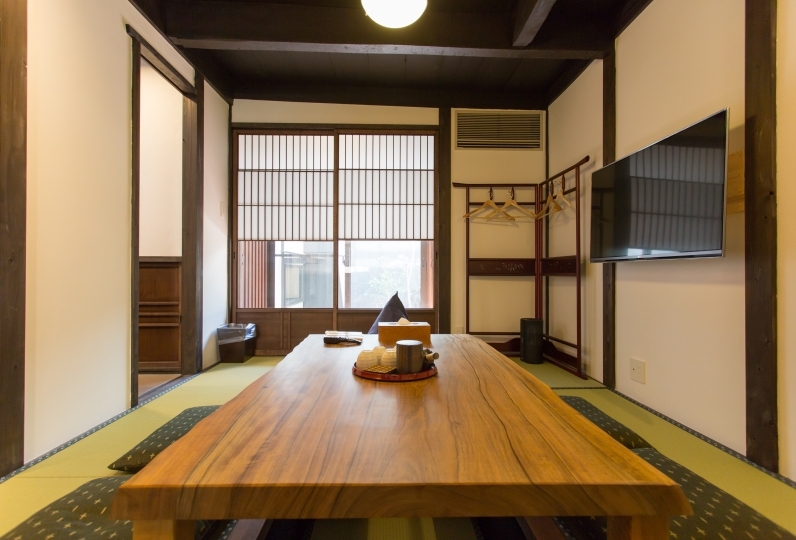 Kyo-machiya said to be over 1200 years ago and the interior doesn't show change. 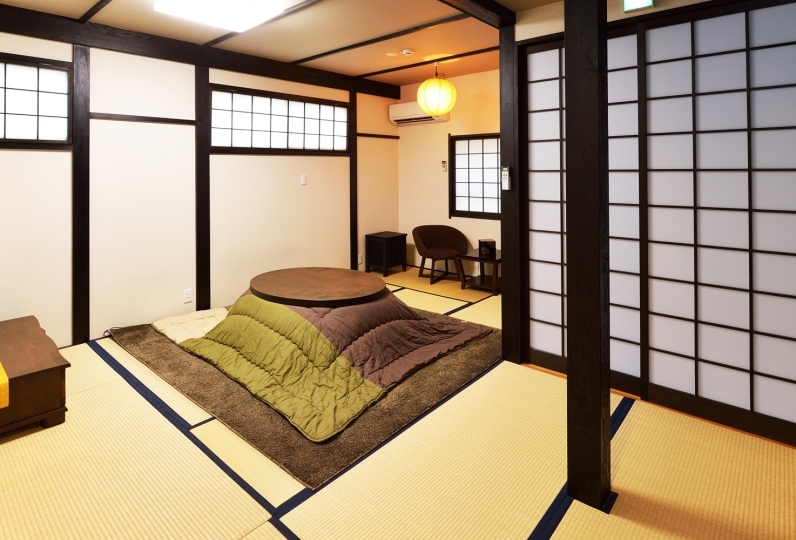 On the second floor there is a Western-style room. As a place of reading and discourse, you can relax here. "Staying like living": the wisdom and and ingenuity of incorporated with the old wisdom. Hospitality firmly thought that "staying like living"
I do not feel any inconvenience. 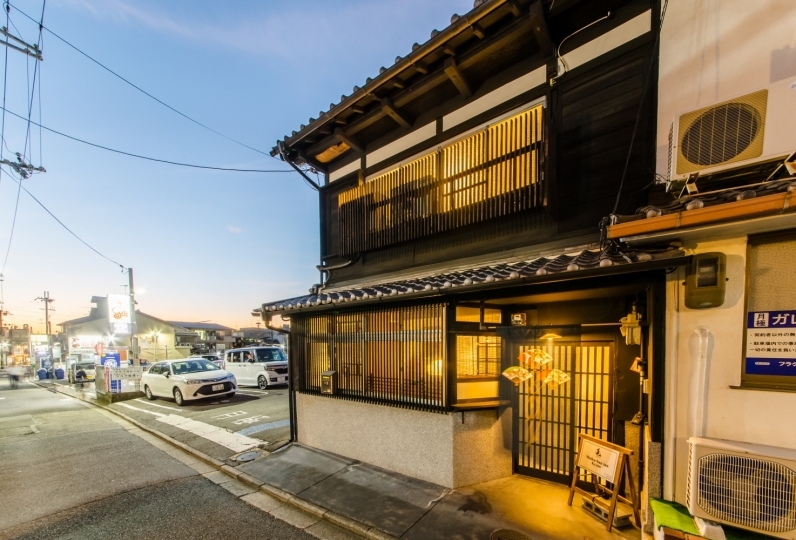 One side of Kyoto that is both old and new that has never experienced before. 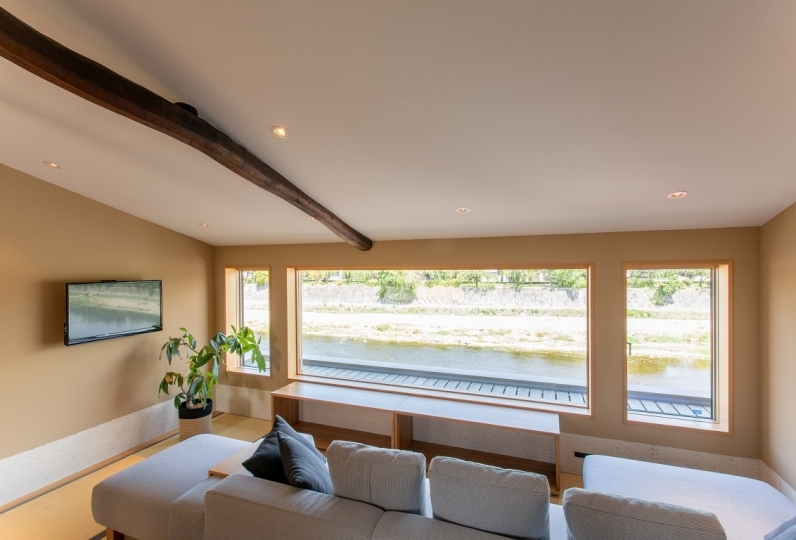 Why not visit Awata Geppaku An? The room is equipped with a shower and bathtub. The modern bathtub is spacious. You will be able to have a view of the courtyard from the bathroom. Equipped with utensils, pots, kitchen with IH heater, washing machine, various chargers, iPad etc. 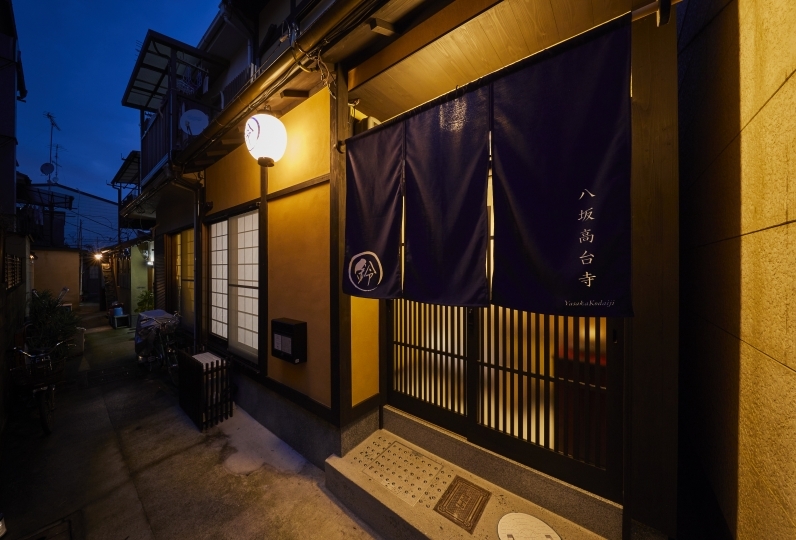 You can experience "staying like living" by cooking fresh Kyoto vegetables. 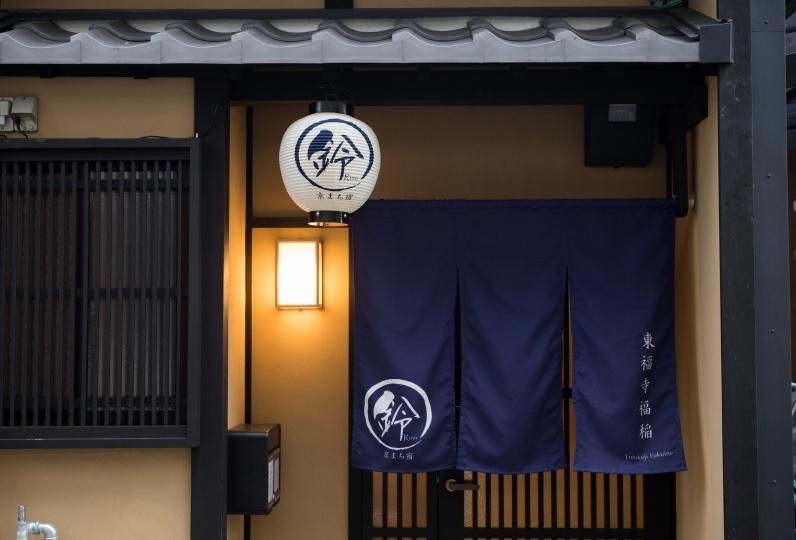 Kyoto is a place of traditional culture. 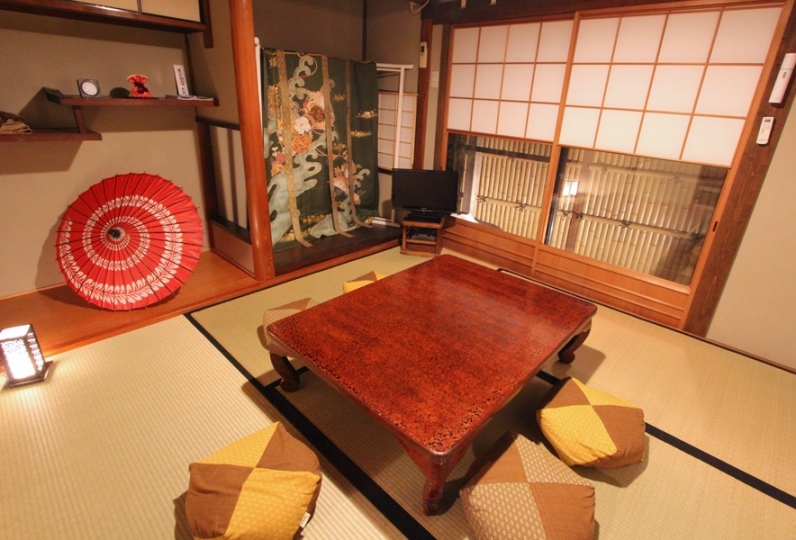 Enjoy tea ceremonies, kimono dressing, ceramic art experience, etc. 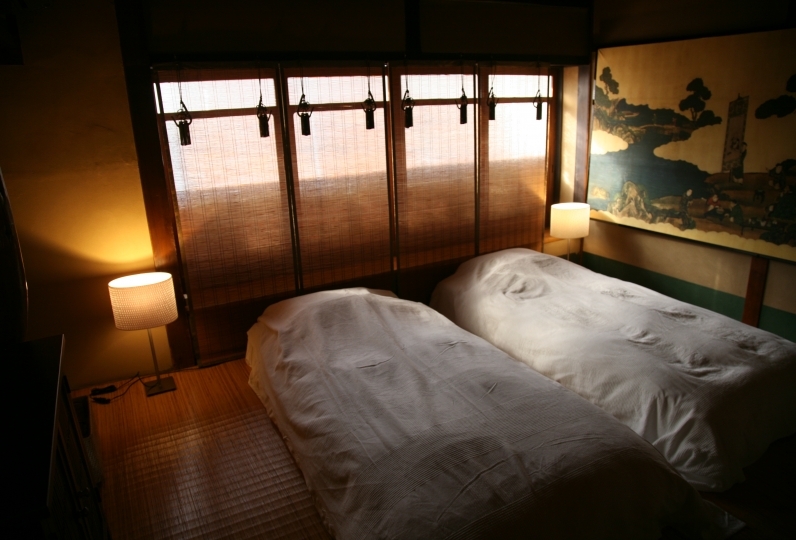 Enjoy sightseeing and relaxing in a Machiya. 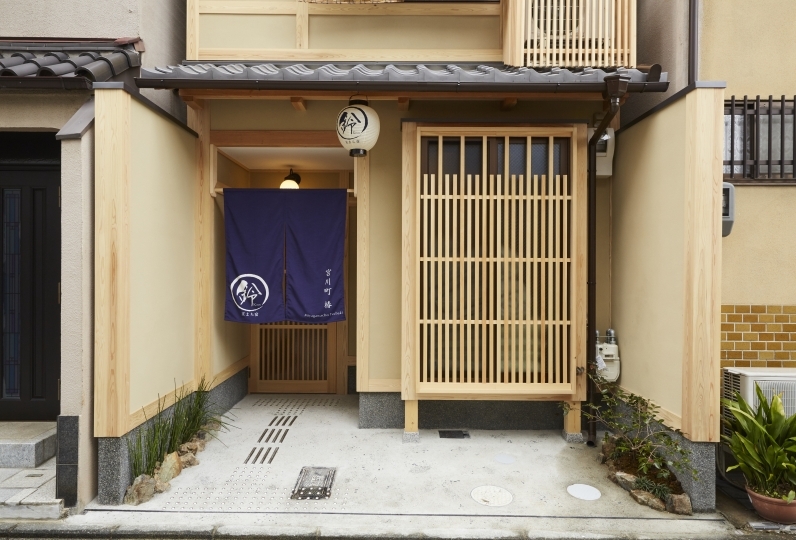 At the Machiya, experience the history of Kyoto and traditional culture. Enjoy a stay one rank up above the normal at 'Machiya Residence Inn'.